CHARLESTON, SC (courtesy of csuniv.edu) — The United States Department of Education has notified Charleston Southern that the university has been selected to receive funding for a Title 3 project. The $2,249,700 award will be administered over a five-year period and will fund Success Through Access and Robust Support (STARS), an initiative to introduce new best practice instructional models for distance education/blended education to solve capacity programs, expand access to programs and services and address weaknesses that hinder adequately serving students. “This new funding opportunity will enhance our commitment to promoting academic excellence in a Christian environment. The faculty will receive new technology training and will extend that expertise to our students – whether they are online or on campus,” said Dr. Jackie Fish, vice president for academic affairs. 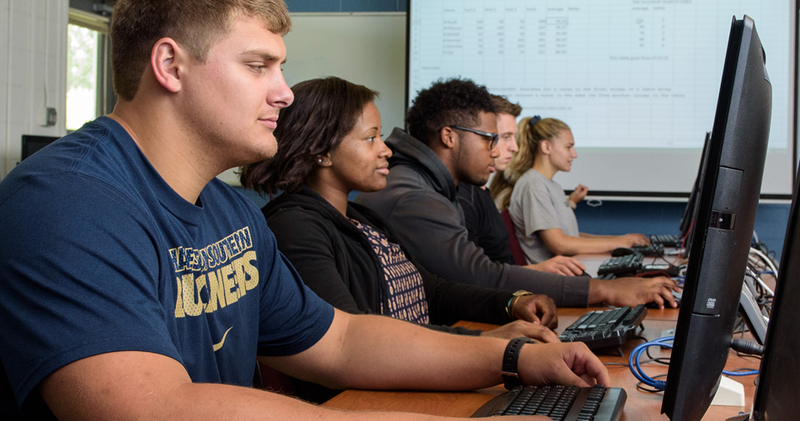 Improve Faculty Capacity to Offer Courses Using a Shared Classroom Model: The new model will save classroom space and allow CSU to enroll more students. The active learning emphasis has proven to be effective in increasing student success at other colleges and universities. CSU will develop a faculty certification for shared classroom active learning instruction, which is defined as a course meeting on campus half the time and using active learning out-of-classroom instruction, such as flipped classroom activities, the other half of the time. Expand Access through Online and Hybrid Programming: CSU will upgrade its distance learning infrastructure and renovate and equip a faculty studio. Faculty will receive training to become Quality Matters certified instructors. These enhanced tools will allow CSU to convert its 13 Liberal Arts Core courses (general education) to online/hybrid format and redesign the existing online/hybrid Criminal Justice core courses, adhering to rigorous Quality Matters standards. CSU will receive the funds under the Department of Education’s SIP which helps eligible institutions become self-sufficient and expand their capacity to serve low-income students by providing funds to improve and strengthen academic quality, institutional management and fiscal stability. Click here to read the original release on the Charleston Southern website.